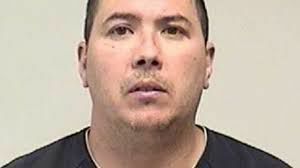 KENOSHA — The Kenosha County Sheriff’s Department on Friday released the blood alcohol test results for the man accused of drunken driving and killing a family of two brothers — one a doctor and the other a dentist — and the dentist’s wife on April 5 in western Kenosha County. Timothy G. Vandervere, 40, of Beach Park, Ill., had a blood-alcohol concentration of 0.316 when he was tested following the crash, police said. The crash on Highway 50 in Bristol was reported at about 6:45 p.m. on April 5, according to the Sheriff’s Department. Vandervere was reportedly observed driving “driving erratically and at a very high rate of speed” before his GMC pickup truck crashed into the rear of a Jeep Grand Cherokee in the 21600 block of Highway 50, also known as 75th Street. Both vehicles were reportedly traveling east on Highway 50 at the time of the crash, both ran off the road, the Jeep ending up in a marsh. 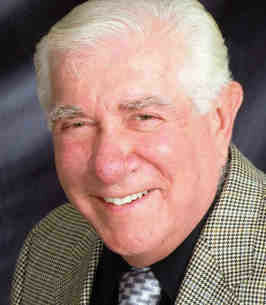 Dr. Vincent Corradino Rizzo, 76, and his wife, Mary Catherine Rizzo, 74, were transported to nearby hospitals, where they were pronounced dead. Dr. Michael James Rizzo, 67, Vincent’s brother, was pronounced dead at the scene. Michael and Vincent’s brother, Gerald Rizzo — the only survivor in the Jeep — had to be extricated from the vehicle and was admitted to a local hospital. Vandervere was released from Froedtert Hospital in Wauwatosa and taken to the Kenosha County Jail. He is charged with three counts of reckless homicide, three counts of knowingly operating after revocation causing death, one count of reckless injury and one count of knowingly operating a motor vehicle causing great bodily harm — all of which are felonies — as well as a first offense for operating a motor vehicle while under the influence. As of Friday afternoon, he remained in custody on a $2 million cash bond, court records show. A preliminary hearing is scheduled for Wednesday at the Kenosha County Courthouse. Funeral services for all three Rizzos are scheduled to be held on Saturday, April 13th, with a prayer service at 9:15 a.m. at the Proko Funeral Home and Crematory, 5111 60th St., Kenosha, and Mass of Christian Burial celebrated at 10 a.m. at Our Lady of Mount Carmel Catholic Church, 1919 54th St,, Kenosha. Entombment will follow in All Saints Mausoleum, 3300 Springbrook Road, Pleasant Prairie. 800 block E. Johnson St.